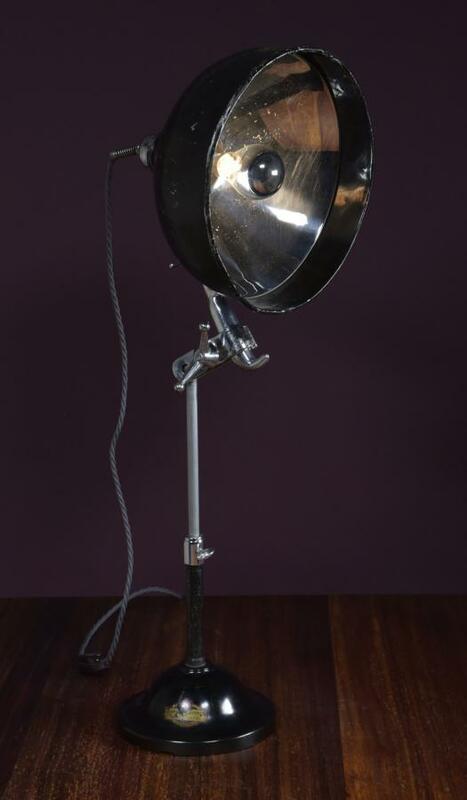 A rare antique medical table lamp by John Bell & Croyden, London W1.c1928. 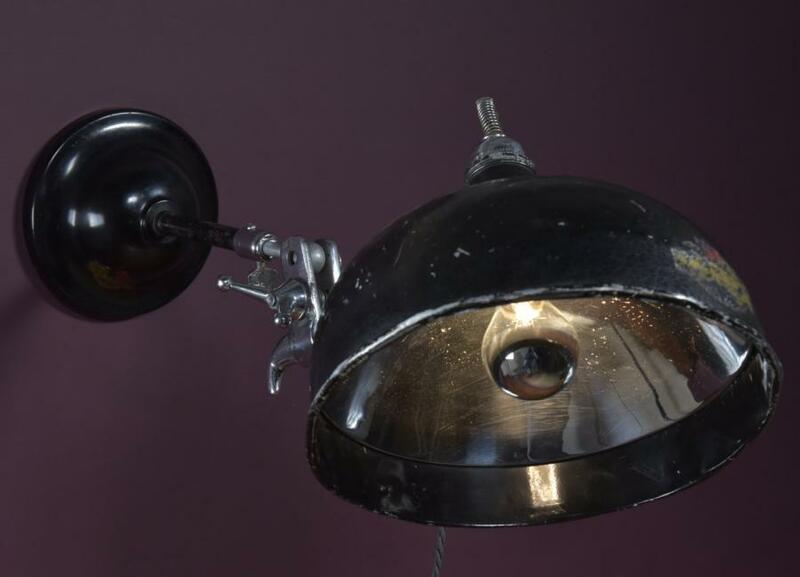 Fully adjustable in height and angle;the detachable lampshade has a polished aluminium handle that attaches to the stem with a large ball and socket joint, clamped with a huge wing nut, enabling the shade to adjust to any position. The angle between the handle and shade is also adjustable and the central stem can be raised or lowered. 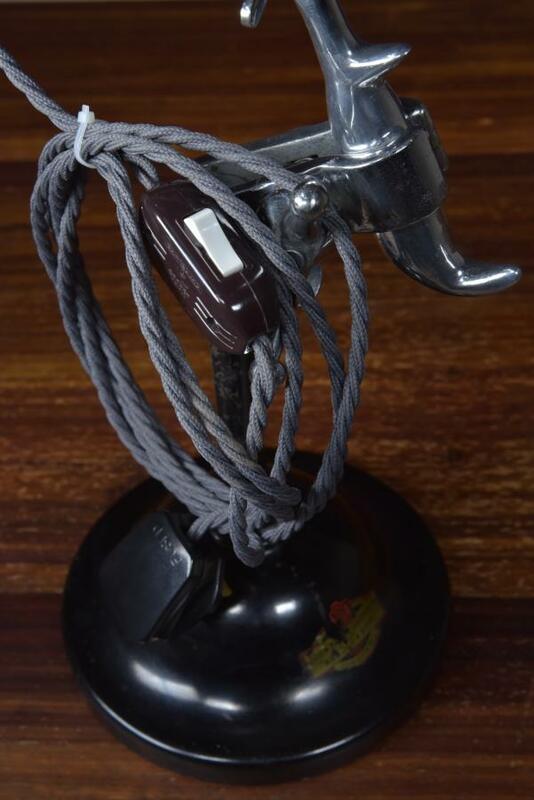 The lamp can be used as a table or desk lamp or be wall mounted.The shade and handle can be separated from the base so it may originally either have been a doctors inspection lamp or a heat / health lamp. The base is bakelite with a cast iron inner and has a label reading John Bell & Croyden and Arnold and Sons. The shade has a label that reads John Bell & Croyden and Savory & Moore Ltd. The two slightly different labels may place the lamp close to 1928 when the firm was acquired by Savory & Moore. The business dates back to 1798 when John Bell opened a pharmacy on Oxford Street, London. 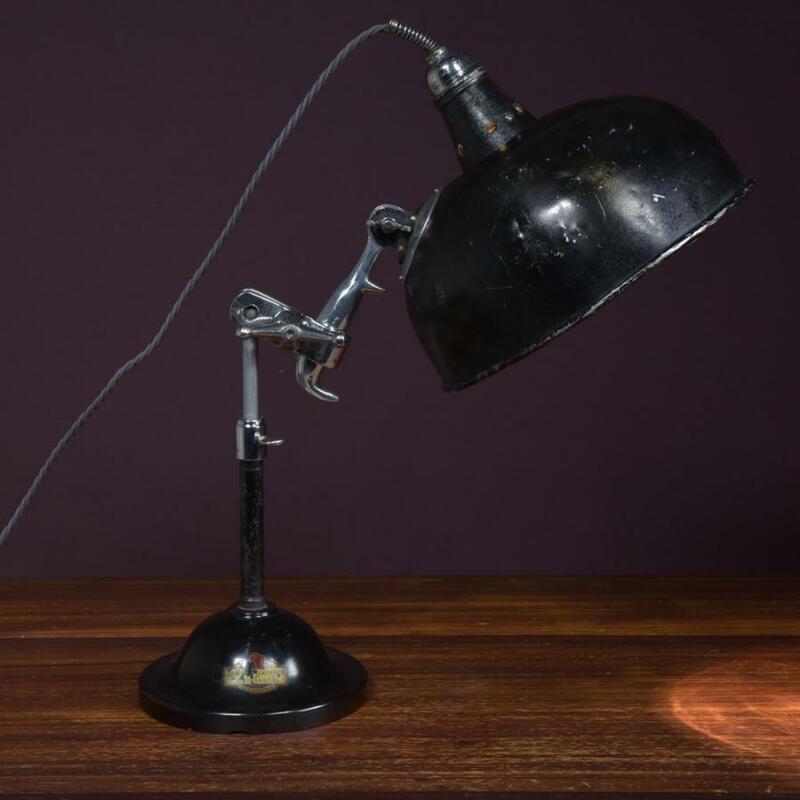 The lamp retains its original black painted finish and has been rewired with 3 meters of "misty grey" fabric flex, a quality traditional looking inline switch and plug. Dimensions in inches/cms; Max. height is 32.5"/82.5cms. Shade diameter is 11.5"/29cms. Base diameter is 7.625"/19cms. For more / higher res images please see my blog which can be accessed through the news section of this (haes) website.